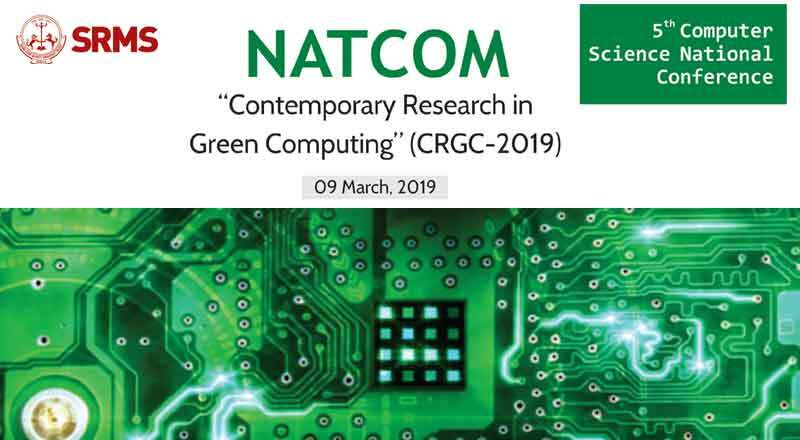 NATCOM (CRGC-2019) is inviting soliciting original, previously unpublished and high quality research papers addressing research challenges and advances in Contemporary research in computing and informatics. The indicative subthemes for the submission of research papers are mentioned above. Papers will be screened for plagiarism and when identified the paper will be rejected. Abstract and papers should be submitted in IEEE paper format to natcom@srms.ac.in before the below mention dates. Accepted paper will be published in souvenir. Registration fee should be paid by Bank Draft in favour of “SRMSCET&R”, payable at Bareilly. Registration fee enables participation in all technical sessions and availability of hospitality including stay arrangements during the conference.